Happening primarily throughout Manhattan’s Lower East Side and Village areas, Mondo.NYC (#MondoNYC2017) is a festival and global business summit of music and tech industry insiders and innovators, emerging artists and their fans. Running through October 8, Mondo.NYC2017 will bring together music fans, artists, tech pioneers and entertainment professionals to celebrate music, technology, and the entertainment industry while empowering artists and advancing ideas in an ever-changing music business. An incubator for the music and tech industries during the day, by night Mondo becomes a platform for emerging artists from around the globe to perform at Lower East Side venues. 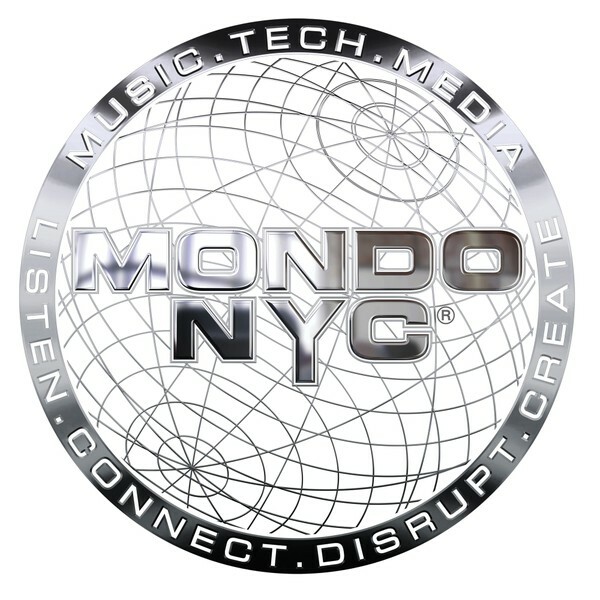 This year Mondo.NYC partners with The New York City Mayor’s Office of Media and Entertainment, Recording Industry Association of America (RIAA), New York University (NYU), Spotify, international export agencies, and multiple additional partners to present a comprehensive program for industry, artists, media, and fans. Through an RIAA Programming Partnership and Spotify hosted reception, the RIAA will discuss its mid-year industry revenue numbers during a special presentation on October 5 as part of a discussion titled “Streaming Revenue and Policy in One Hour,” with Cary Sherman, RIAA CEO, Mitch Glazier, RIAA President, and Joshua Friedlander, RIAA SVP Strategic Data Analysis along with key industry representatives. This will be immediately followed by a reception at NYU co-hosted by Mondo, the RIAA and Spotify. Another presentation, a Mandatory Continuing Legal Education Program (MCLE), will be given in partnership with the RIAA, Michelman and Robinson LLP, and Cowan, DeBaets, Abrahams & Sheppard LLP, the following day October 6, and will be a day-long seminar of panel content specifically geared towards content producers, right’s owners and providers, and will specifically address topics such as, Alternative Music Financing, Streamripping – The New Threat? Can Washington Help The Music Industry Move Forward? and other areas. What will be talked about at Mondo summit and conference sessions and events? Event topics will not be limited to the following but will include, College and Emerging Radio Ideas Summit, Career Intensive 101:: Exploring the Industry 2017, College and Emerging Radio Ideas Summit, How Streaming Playlists Work and How to Get On Them, Internet Radio Round Table, MCLE: Alternative Music Financing, Its Time to Pay Attention to VR, Music AI: Learning to Groove with Our Robot Overlords, Presentation on Music Economic Impact Study, The Ins and Outs of Being a New Record Label, Steve Martin: The State of Live Music in 2017, With a Little Help From My Fans: How Fans Grow Fanbases, Your First PR Campaign. And who will be speaking? Expect to hear (or see performances) from Tokyo Taboo, Tom Irwin, Cherie Hu, Barry Perlman, Andi Wilson, Vinegar Mother, Madison McFerrin, Matthew Barblan, Mehmet Dede, Letters to Nepal, Kenneth L. Doroshow, Jacqueline Charlesworth, Twisty Cats, Your Dog, and ao many others. The Future of StoryTelling (FoST) draws in people from the worlds of media, technology, and communications to explore how storytelling is evolving, as displayed through an array of exhibits, including mixed reality, haptics, AI, games, and interactive films. The Snug Harbor, Staten Island located festival will also display the latest immersive technologies from Microsoft, Oculus, Samsung, and others; panels with practitioners from the worlds of media, entertainment, technology, education, and marketing; and to throw in a bit of fun, evening entertainment featuring comedy, spoken word, music, dance, circus performers, food and more. At the heart of FoST (#FoSTFEST) are two signature events over its three-day run starting October 6. The two-day FoST Summit gathers top thinkers and practitioners from diverse fields to share ideas and experiences shaping the storytelling landscape. FoST FEST, open to the public, features VR and AR experiences, tech demos, a multiperson VR theater, panel conversations, live performances, interactive games, and much more. In conjunction with the Summit, FoST produces a series of short films featuring Summit speakers that highlight their areas of interest and the topics up for discussion at the roundtable conversations. Summit attendees are encouraged to watch the films in advance so they can participate in the roundtable conversations in the most informed way. The FoST Summit gathers a mix of thinkers and professionals from diverse fields that are impacting storytelling in the 21st century. To fully engage attendees, the FoST Summit has planned and carefully curated s program which includes: roundtable conversations with leaders from Fortune 100 companies, technologists, marketing visionaries, and renowned academics, hands-on creative workshops that allow attendees to gain new skills, The Story Arcade: an exhibition of more than 100 examples of the world’s best immersive storytelling projects and technologies, performances by new artists, opportunities to network and forge new relationships with important influencers and creators, plenty of food to sample. Here are some of the summit speakers you can expect to hear from: Anjali Sud, CEO of Vimeo; Hasan Minhaj, comedian, actor, and writer; Wendy Calhoun, writer and executive producer credited with writing the first season of Fox’s series, Empire; David Droga, Founder and Creative Chairman, DROGA5; David Carey, President, Hearst Magazines; Todd Vellin, VP of Product, Netflix; Joe Lewis, Head of Comedy, Drama and virtual Reality, Amazon Studios; Loc Dao, Chief Digital Officer, National Film Board of Canada. There will be others. In addition to the Summit and FEST, FoST also produces a wide range of content and programming, such as curated exhibitions; an annual series of short films; regular influencer salons, tech tastings, and storytelling workshops; and a popular blog and other social media content aimed at FoST’s network of over half a million followers. There is an array of planned activities outside of the Summit and exhibition areas. They will include OurSpace participatory performance guided by an artificial chatbot, the Mp3 Experiment participatory audio adventure, Ghost Court party game, the Still Life short about relationships and their inherent instability, a scavenger hunt through the FoST Festival campus, original poems-to-order composed on the spot, the Smellmapping project through which participants divert normal sensory order to collect information through their nose. The 27th edition of the annual B2B Broadcast India Show will be in Goregaon, Mumbai. The three-day trade fair that starts October 12 has lined up a wide array of products and technologies for the broadcast, television, film, audio and radio industry. Over the years, the Broadcast India Show has positioned itself as an interactive platform that showcases the paradigm shifts in infotainment technology throughout the world but allows for technology seekers to connect with the innovators and experience innovations first-hand. From a report published by FICCI and KPMG, the media and entertainment industry in India is poised to grow at a CAGR of 14.3 percent to INR 2260 billion by 2020, led by advertising revenue which is expected to grow to INR 994 billion at a CAGR of 15.9 percent. By 2020 the digital advertising market is also likely to scale up to INR 255 billion and contribute to 25.7 percent of total advertising revenues. Increased share of mobile and video advertising as part of digital media is one of the things to look forward to as well. At Broadcast India, suppliers and tacticians involved with the hardware, software and/or technology for the broadcast, film industry, and multimedia industry have been participating in these shows as exhibitors. The exhibitor profile and offerings will be varied. Visitors can expect to get peeks at gear in such categories as audio, broadband, cameras, desktop video, digital film, high definition, interactive media, internet, IPTV, lighting, MPEG, mobile tv, multimedia, music, outside broadcast, radio, satellite, streaming, television, transmission, video, visual effects, and other leading innovations from the entertainment industry. Some of the notable brands displaying their products at Broadcast India Show 2017 are Blackmagic Design, Sony, AVID, RED Digital, Canon, Datavideo, Ross Video, FOR-A, Grass Valley, ARRI, Atomos, Carl Zeiss, Panther, Seagate, On-Air Asia, AJA Video Systems, Playbox, IHSE, Primestream, Ikegami, Hitachi, Monarch, Netweb and Sennheiser among so many others. From content creation to its management and delivery, Broadcast India Show 2017 presents products and solutions its audience of broadcast and film industry professionals would be looking for. Organized by NürnbergMesse India, the expo is projected to attract professionals from across the globe with over 600 brands displaying leading edge technology and solutions. Along with the broad-spectrum event, the Broadcast India Show 2017 will simultaneously facilitate a two-day conference that puts the spotlight on content. It will invite CEOs, directors, and proprietors of companies along with engineers, technicians, and technologists to conduct an array of technical presentations, product promotions, and in-depth discussions. With a gathering of presidents, directors, and proprietors of companies to engineers, technicians, and technologists, it forms an informative backdrop for in-depth presentations, cross-pollinating discussions and analytical forums. MIPCOM is a global market for entertainment content across all platforms, with an emphasis on television programming, that annually meets in Cannes, this year October 16-19. MIPCOM (#Mipcom2017) breaks down along four activity areas, Exhibition Zone, networking and matchmaking programs, conferences, screenings of TV and online content in every genre. There will be a number of Keynote addresses at MIPCOM in 2017. Speakers will include, Domingo Corral, head of Original Programming at Movistar+; Courteney Monroe, Chief Executive Officer (CEO) of National Geographic Global Networks; Daniel Danker, Director of Video Product Facebook; Davey Gary, Managing Director of Content, Sky; Mills Sean, Senior Director, Content Programming, Snap Inc.; Richard Plepler, Chairman and CEO, HBO; Ramsay Gordon, TV Chef and President of Studio Ramsay; Fred Seibert, founder of Frederator Networks and Chief Creative Officer of WOW! Unlimited Media; Van Veen Ricky, Head of Global Creative Strategy Facebook; Yeatman Andy, Head Of Global Kids Content, Netflix; David Zaslav, President, and CEO, Discovery Communications. There are designated program highlights for the 2017 MIPCOM (most of which comprise conference sessions) that will be grouped in the categories of Global Content Trends, Digital Distribution, Virtual Reality, Network and Connect, and Ultra-HD Reaches Tipping Point. Within these five categories, topics to be presented will include program segments, Defining a Hit: New Metrics for Success, Successful Content in the Middle East, Over Here! Standing Out in the Crowded OTT Space, Power Shifts: Who Will Take the Throne of Drama? 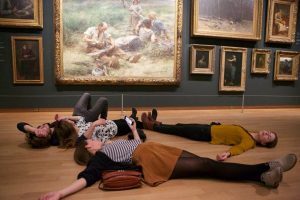 Beyond Coproduction – Making Global Creative Connections, From History to the Future – The Beauty of Working With China, Global Drama: It’s Time for Africa! Formats: The New Creative Horizon, Originals – The Quest for Brand-Defining Content, A New Era for Content and Partnership in Turkey, How to Spot and Finance the Industry’s Next Top Talent, How Will the European Digital Single Market Affect My Business? Media Program Beyond 2020: Connecting Content, Financing and Audiences, Breaking Stereotypes to Connect Global Audiences, Trending Topics: The Most Buzz-Worthy Trends of the Market. Digital Distribution will include MIPCOM program segments, The Best of VR Content, OTT Platforms: A Distribution El Dorado for Live Channels and Niche Content, Successful Distribution Strategies in Africa, Cinematic VR: Buying It, Selling It and Funding it; The Best of VR Content, Your Virtual Compass. Ultra HD – The Latest Developments, Ultra HD: MIPCOM’s Global Update, Insight TV: Delivering Ultra HD to a Global Audience, The Best Music in Ultra HD, NHK Japan, the Road Map for Ultra HD, TV ASAHI: Capturing Breathtaking Ultra HD in Antarctica, Kansai TV: Producing Superiod in Ultra HD, Spain and Its Commitment to Ultra HD, Spectacular Sports and Action in Ultra HD, Japan’s Fuji TV Network – Producing in Ultra HD, Factual Entertainment in Spectacular UHD/HDR. 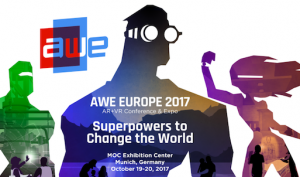 Augmented World Expo (#AWE2017) is an annual conference and expo focused on the AR (Augmented Reality) and VR (Virtual Reality) industries, with events in three locations: California, USA, Munich, Germany and Beijing, China. Opening October 19, the AWE Munich conference opening keynote and remarks will be delivered by Ori Inbar, the Co-Founder and CEO of Augmented Reality.ORG, the producer of Augmented World Expo. Other notable speakers will include, Alessandro Terenzi, ARMedia/Inglobe Technologies; Tony Bevilacqua, cognitiveVR; Amir Baradaran, Columbia University in the City of New York; Shelley Peterson, Lockheed Martin; Rika Nakazawa, Atheer; Paweł Gajda, Carbon Studio; Oliver Hille, Volkswagen AG; Leila Alem, University of Technology Sydney; Jay Kothari, Google; Jacob Loewenstein, Samsung Next; Dominic Eskofier, Nvidia; Amy Peck, EndeavorVR; Christopher Stapleton, Virtual World Society. And there will be more speakers. The conference program reflects speakers and topics that will place significant emphasis on finding opportunities in Augmented Reality and implementing strategies to realize them. Status of the AR in Enterprise Ecosystem and What Can We do to Improve it! will be delivered by Mark Sage, Exec. Dir., Augmented Reality for Enterprise Alliance (AREA). AR at the Assembly Line – Assessing People, Technology and Business will be delivered by Bjorn Schwerdtfeger, CEO, AR-Experts.de. Breathing Life into Physical Objects through Augmented Reality will be delivered by Vinny DaSilva, Developer, Vuforica. Auto AR – Visualising Architectural Data using Mobile Panoramic AR will be delivered by Leif Oppermann, Fraunhofer FIT. HOLOGATE – Location based VR/AR for Entertainment and Enterprise will be delivered by Leif Petersen, CEO, IGNYTE GmbH. Expanding Reality: the Role and Impact of Mixed Reality on AR, VR, Enterprise, and Consumer will be presided over by Eric Abbruzzese, ABI Research, Valerie Riffaud Cangelosi, EPSON EUROPE, Kayvan Mirza, Optinvent, Ian Graves, Osterhout Design Group. How Can Factories and Warehouses Benefit from Augmented Reality Indoor Navigation will be delivered by Clemens Kirner, Insider Navigation Systems GmbH. Optical Technologies for AR Smart Glasses will be delivered by Khaled Sarayeddine, Optinvent. AWE day one concludes with a cocktail reception followed by an After Party. Day two concludes with Closing Remarks followed by Auggie Awards Announcements. 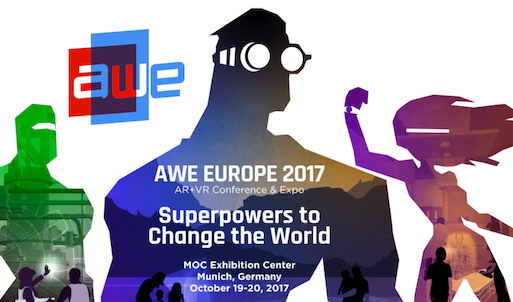 AWE’s Second Annual European Auggie Awards showcases selections in the augmented world. Auggies are selected for three categories: Overall Best-in-Show, Best AR Solution, Best VR Solution. Winners of the Auggie Awards will be presented with an Auggie Award on stage at the Ceremony on October 20, the final expo day. Thought of as a Comic-Con for horror fans, Spooky Empire, who hosts the annual thriller/horror conventions in North America, has planned for the 2017 reunion of the Hollywood classic, Sixteen Candles, with the attendance of Molly Ringwald, John and Joan Cusack and Anthony Michael Hall when it launches October 27–29 in Orlando. The convention will also celebrate the 30th anniversary of iconic American horror comedy The Lost Boys with the attendance of Billy Wirth, Jamison Newlander and G Tom Mac. The convention has also added an array of new activities for guests to enjoy including a Charity Casino Night, an expanded Kid’s Zone, Special FX Makeup classes, Literary Guests and Creators Track, Fast Pass photo-op option, and much more to be added through October. 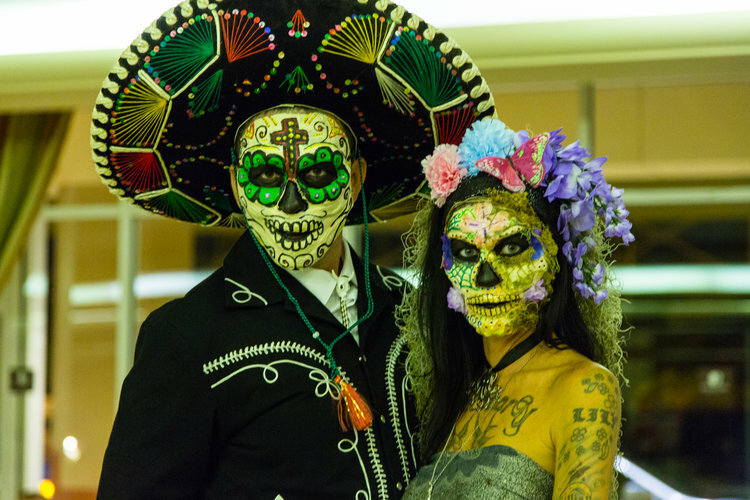 Special events go a long way to define Spooky Empire as a horror festival. Spooky Empire’s film festival will feature micro-short films that range from 50 seconds to 10 minutes. Short films will range from 11 minutes to 30 minutes. Features films will range 31 minutes or more. Check the website for the most up to date listing of the films that will be screened. Questions regarding the film festival, including how to submit for future festivals, can be sent to filmfest@spookyempire.com. 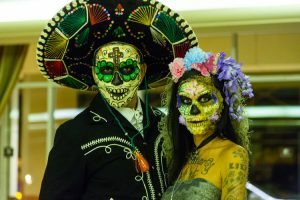 There is a planned Costume and Cosplay Contest, Exhibitor Room, Tattoo Festival, Q&As and Panels, Autograph and Meet and Greet Sessions, live performances, photo ops, Charity Casino Night, special FX demos, classes, and seminars; Live Shadowcasts, Kids Zone, film festival, Literary Guests and Creators Track. At the Tattoo Festival, tattoo artists will be available for work by appointment. They will include, Freak of Skull and Bones Tattoo, Dean Corpse of Altered State Tattoo, Chelcie Dieterle of Diamond State Tattoo, Jeff Henry of The Nines Parlor, Serina Malec of Metamorphosis Tattoo Studios, Joshua Greener of Rock City Tattoo, Heather Maranda of Epic Ink – Area 51 Tattoo, and others. Expect celebrity guest appearances to made by Richard Dreyfuss, John Cusack, Joan Cusack, Molly Ringwald, Anthony Michael Hall, Jennifer Carpenter, Shannon Elizabeth, Fairuza Balk, Daphne Zuniga, Derek Mears, C.J. Graham, John Kassir, Ken Foree, Rachel Bolan, Billy Wirth, Jamison Newlander, G Tom Mac, Jonny Brugh, Ben Fransham, Don Brooker, Glen Hetrick, Susan Backlinie, Loni Anderson, Barry Anderson. The planed Creators Track focuses on horror’s creative writers and their books, including Tyra Burton, Scott Kenemore, Rubella Von Hart, Pedro Lopez, A.D. Sams, James A. Moore, Edward Lee, Christopher Golden, and others. Spooky Empire will host established authors and new, up and coming writers. The authors will also take part in scheduled signings and even some informative, fun, and interactive panels and seminars. The above events are only a sample of what is fully listed. Complete details are on the “Calendar of Global Media and Showbiz Industry Social Networking Events” page. If you like this report and other content found on The Actor’s Checklist, like the Facebook page at this link. India/France fusion band, TRINAAD (formerly The Khayal Groove), is set to unveil a new album. Visit their page for more details. Nick Russo’s Banjo Nickaru will celebrate the 11th year anniversary of Americana album ‘Ro’ on October 29 at Jalopy Theatre, Brooklyn, NYC. In this month’s photo placement, Bladerunner 2049 (top photo) is the sequel to Blade Runner (1982), starring Ryan Gosling and Harrison Ford, directed by Denis Villeneuve and written by Hampton Fancher and Michael Green. Blade Runner opened in North America the first week of October. Next, MONDO NYC, OurSpace activity @ Future of StoryTelling (FoST), Broadcast India Show in Mumbai, AWE Europe 2017 in Munich, Spooky Empire in Orlando. 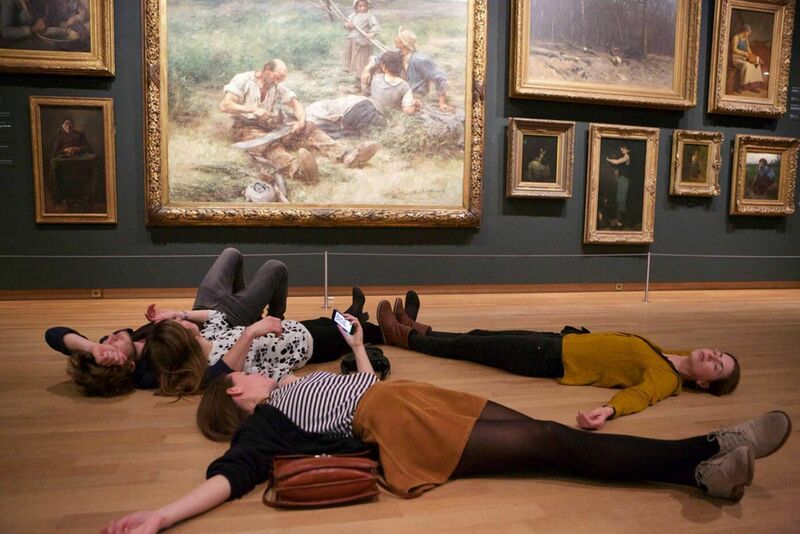 Close to the end of the year in November the events calendar is still strong with enough dates to take note of. Streaming Media West opens early in Huntington Beach, The Digital Cinema Society will hold their annual Post Expo, TV Connect Africa will happen in Cape Town, Futureland VR / AR / AI / Robotics will take place in Milan, BMI’s Country Awards and the 51st Annual CMA Awards will be held on consecutive days in Nashville, media industry herald Variety will host two events in the month: ‘Inclusion’ and ‘Innovate,’ World Virtual and Augmented Reality Sports Innovation Summit will be in San Francisco.